Makers of tennis shoes are always teaming up with somebody or other to make what they’re hoping will be the latest craze in athletic footwear, even if the wearers never use them for running or the sport they’re purportedly intended for. Just like warm up suits, tracksuits, running suits, whatever you want to call them, they’re pretty much “athleisure wear” for most people. Now, Puma and BMW’s Designworks Studio has come out with a new shoe with a nod toward the car manufacturer's 2008 fabric concept car, GINA. 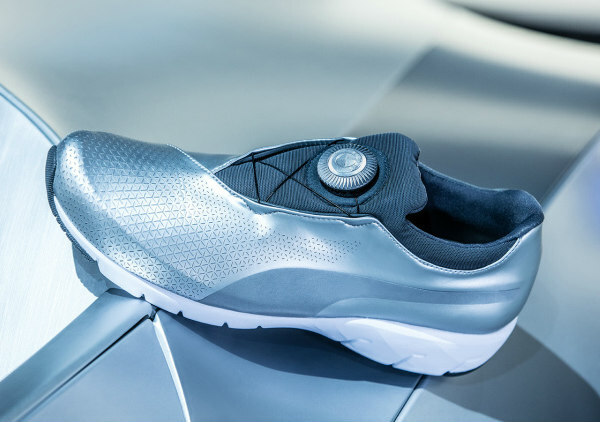 The BMW X-Cat DISC sneakers might be intended as a driving shoe, it’s hard to say for sure, but they look like something the Robinsons would have worn on the old ’60s show Lost in Space. For those of you who’ve never seen TV Land, it’s pretty cheesy stuff. If you’re curious how and why the two brands got together on this project, BMW consulted with Puma back when they were in the design phase of the GINA Light Visionary model. The concept car was swathed in a lightweight Lycra-type fabric developed in conjunction with Puma rather than metal or fiberglass. The special silver fabric was stretched tautly over the vehicle’s chassis, rendering it more a piece of fashion art than anything else. Eight years later, the shoe is covered in the same shiny silver fabric, and if he doesn’t already have an advance pair gratis, Kanye West should be sporting them soon, because they look like something Yeezy would wear. BMW is not the first automaker Puma has collaborated with. They’ve been known to work with Ferrari in the past as well. 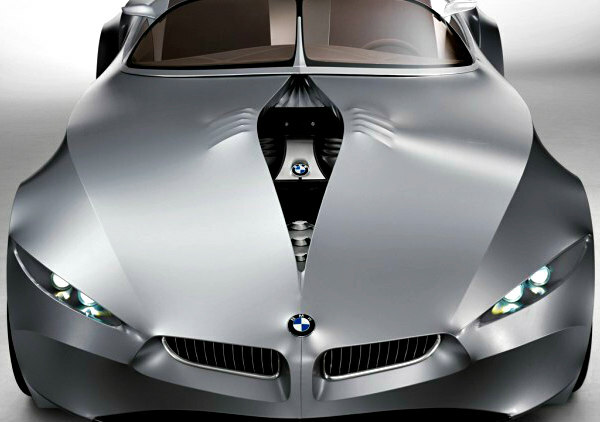 But the shell of the BMW X-Cat is a solid or seamless piece of that same silvery material used for the car that hugs the contours of the shoes’ raised lines, evoking the look of 2008’s GINA. The DISC, on the other hand, stems from the fact the shoes use Puma's DISC system for fastening them to your feet in place of shoelaces or Velcro straps. The technology uses built-in cables that surround the wearer’s foot that are capable of being tightened or loosened by turning the disc or dial, as it were, located on top of what would be the shoe’s tongue. Ferrari and BMW are but two automotive manufacturers to work with a shoe brand. If you’re really into kicks, you might remember that Porche had an alliance with Adidas as well. But Puma’s various rolled heel lines (you don’t have to worry about anything catching) like the Speed Cat, Future Cat and Drift Cat have been supplied to BMW Motorsport, Scuderia Ferrari and Red Bull Racing, so it’s not their first foray into the driving/riding shoe world. If you’re actually interested in the BMW X-Cat DISC sneakers, you’ll be able to buy them starting Friday, July 1, either online directly through Puma or through select brick and mortar stores across the nation carrying the Puma brand.